Maggie Cochran is a contemporary landscape painter. She graduated from the University of Chichester with a 2:1 Fine Art degree in 2017. Since then she has exhibited with galleries across the South and South West. Maggie now paints and teaches full time from her studio overlooking the Solent in Hampshire. She has always been drawn to the coastal landscape – that threshold between land and sea. 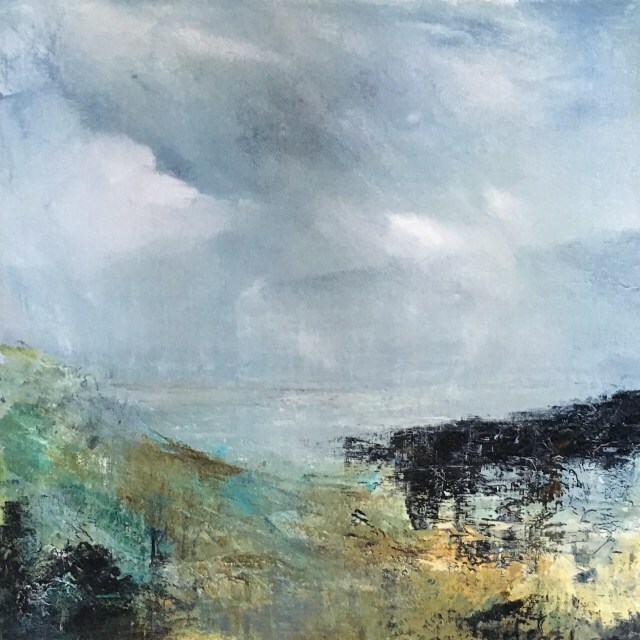 Her work is inspired by the wild Cornish coast and by the Solent shores near where she lives. Her preferred medium is water-based oils and she loves the accidental that can happen when working with them. When possible she prefers to paint en plein air which gives an energy to her work. Her paintings capture a phenomenological sense of being in that landscape with the prevailing weather and light. Maggie won the Cornwall Life Landscape Painter of the Year 2016. She recently formed the Peninsular Artists Collective to support artists living on the Gosport peninsula.